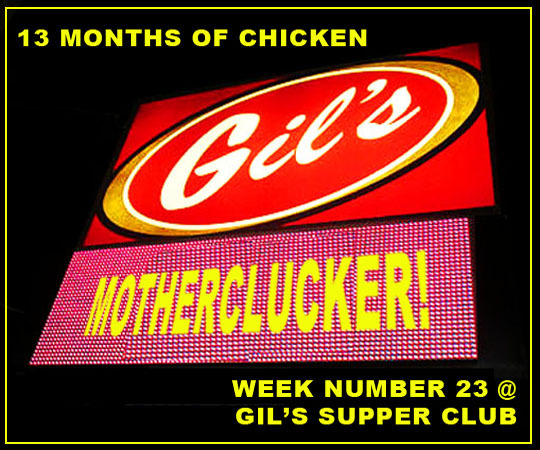 Gil’s Supper Club in Hanna City has been famous for fried chicken for decades, so I knew I’d have to include a trip there for this chicken tour. The only problem is I’ve reviewed their fried chicken already. Below is a photo from that trip back in April of 2017 and here’s a link to that post. Luckily there’s other chicken entrees to be had at Gil’s, so I’m going to try another fowl choice from the menu. Now all we have to do is get there! And look, here’s our ride, it’s my friend Artie Fowler who drove the last time we went out there! The circle goes round and round! I caught a shot of Artie behind the wheel in mid-wink, so while it looks like he’s falling asleep at the wheel, he’s fine and did a great job of driving, as always! It’s a quick trip to Gil’s and here we are. The giganzo chicken out front reminds us what we’re here for so let’s get inside and start this motherclucking evening! You have to wait to be seated and the pretty owner Cindy Smith magically appeared and said we could sit anywhere we wanted to. Before we sat down I took a photo of Cindy and her family that hangs on the wall opposite the hostess station. A great looking family and a nice doggie! Artie and I were joined at our table by Artie’s daughter Amy and her husband Mike. They’re really nice people and we had a nice conversation all evening long with them. They already had dinner, so Artie and I checked out the menu. Cindy suggested I try the Chicken Melt entree for this week’s chicken dinner, so that’s what I’m going to do! Our cute waitress, Meleah took our order and delivered an ice-cold bottle of Budweiser. Service with a pretty smile, I love it! There’s a massive bar up front with a quartet of beers on tap and a Gil’s t-shirt hanging at the end of it. I love to look at the collection of vintage menus hanging on the wall. Gil’s first opened in 1962 and prices were pretty cheap back in those days! 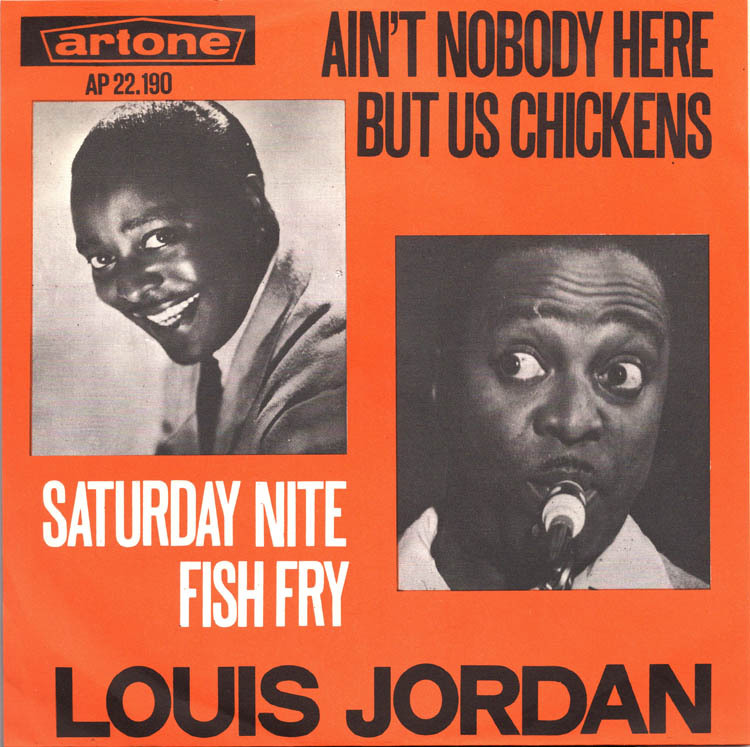 And, as you can see, chicken has always been their specialty! There’s a second dining room through this door and down a small flight of stairs. We were there at the tail-end of the evening, so it was empty but there was a party going on in the room in the back. The onion rings we ordered for an appetizer have arrived! Perfect timing to return. The onion rings are another specialty and signature item here at Gil’s and they are so tasty! They’re crispy and light on the outside and the onion is tender and somewhat sweet as you bite into them. And this is a half order, a full order would feed a small army! This was more than enough for the four of us to sample before our dinner arrived. And speaking of dinner, it has arrived! 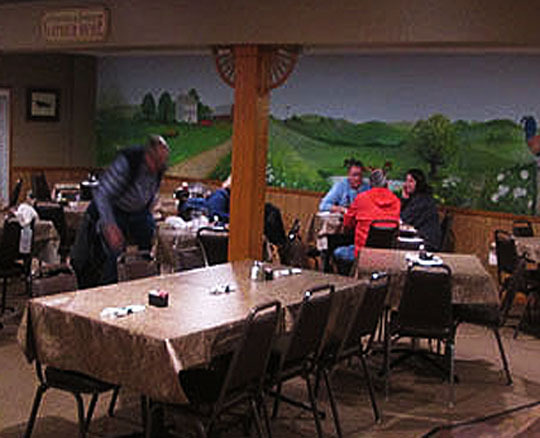 Just like Artie in the driver photo, I caught Kristen in mid wink serving up our main courses! 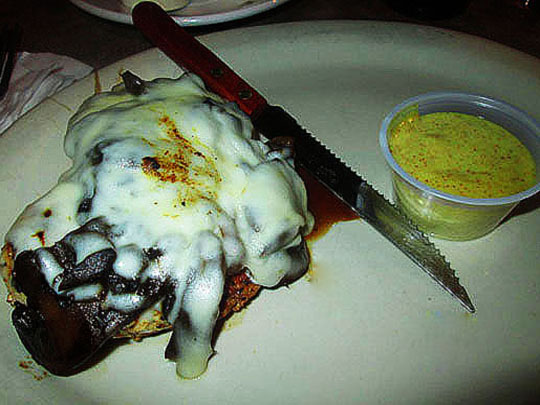 Artie got a combination dinner of sirloin steak and a piece of their famous fried chicken. He said it was delicious! Here’s the Chicken Melt dish that Cindy suggested. It’s served with homemade honey mustard sauce and it looks fantastic! It’s a huge grilled chicken breast covered with grilled onions, mushrooms and then topped off with a generous layer of melted provolone cheese. This is really a flavorful dish and the cheese, onions and mushrooms compliment the juicy grilled chicken breast nicely! The homemade honey mustard sauce takes it completely over the top! Next time you stop at Gil’s you should definitely try the Chicken Melt, it’s a nice alternative to the famous fried chicken here! For dessert we each had a fried corn fritter dusted with powdered sugar. A sweet ending to a fabulous dinner! 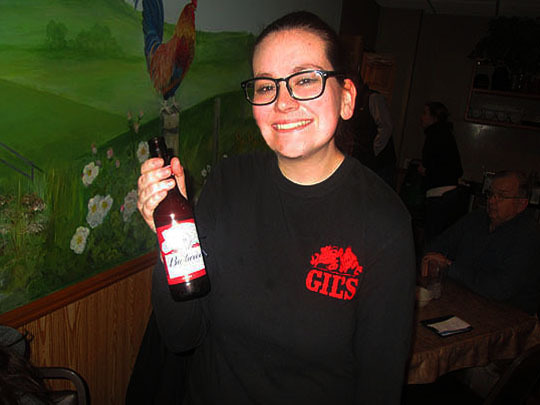 Thanks to Cindy and everyone at Gil’s for a delicious dinner and the friendly hospitality! Thanks to Artie for driving and to Amy and Mark for joining us. It was a fun and tasty evening! 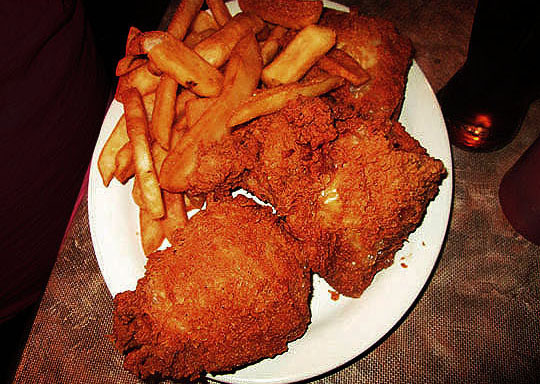 Four Dixie Chickens—Gil’s is famous for its fried chicken, but the Chicken Melt is equally delicious and a unique dish that you won’t find anywhere else!